The battle rages on. 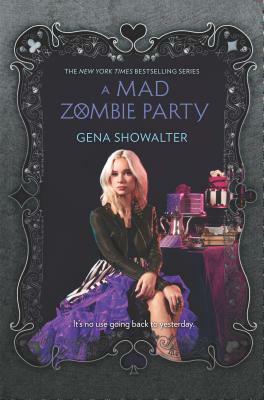 Ali Bell and Cole Holland's crew of zombie slayers thought they'd won the war against Anima Industries, the evil company responsible for capturing and experimenting on zombies in an effort to discover the secret to immortality. In the last epic clash, the slayers lost many of their crew and closest friends. But Frosty, the ice man himself, has not recovered from one casualty in particular--the love of his life, Kat Parker. On the path to self-annihilation, Frosty receives a message from beyond--Kat's spirit returns, insisting he partner with rogue slayer Camilla Marks. Frosty will do anything for Kat. Except that. Camilla is the one who betrayed them all, leading to Kat's death. But when Anima rises from the grave to become a force the slayers may not have the strength to overcome, Frosty, Camilla and all the slayers will have to work together to survive. And one broken slayer will learn that sometimes, the line between hate and attraction is blurred...and the road to redemption isn't through revenge, but in letting go of the past and grabbing hold of the future.